I can do monthly bookkeeping work on QuickBooks Online. The offer is for on-going long-term work. '5' day deliverable had to be mentioned because there is no other option. My offer is for clients with maximum monthly expense of Euro 5,000/- with a maximum of 30 monthly expense entries. The deliverables will be decided before accepting the assignment. Complete business details will be required to assess the job requirement. I will also "try" (no commitments!) to give discounts on QuickBooks Online Pricing Plans. I have '18' years of post-qualification experience. Since last '9' years I am running my family business, which is registered as M. M. Trading Enterprise. We trade...Read moreI have '18' years of post-qualification experience. Since last '9' years I am running my family business, which is registered as M. M. Trading Enterprise. We trade in commercial and retail products and deal with local and foreign suppliers and customers. My latest venture is business consulting. I offer Business Process Outsourcing (BPO) services to foreign clients. My focus area is Accounting services. For this I am using QuickBooks Online. Including myself, we have '3' members in our family business who are experienced in Accounts and Auditing. Additionally, I also have IT background and experience. Before setting up my family business, I worked as a "Senior IT Functional Consultant" with Sui Southern Gas Company Limited (a large natural gas distribution company in Pakistan) for '5' years (2005 to 2010). During this period I was also a senior member of the Oracle Financials implementation team. I worked in the UAE for a business conglomerate (Easa Saleh Al Gurg Group) in the capacity of "Senior Manager - Internal Audit" for 1 year (2004 to 2005). I was tasked with Pre-Audit of Payments of '5' companies of the group along with monthly Internal Audits. 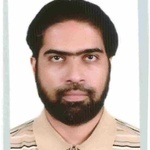 For '3' years (2002 to 2004) I worked as "Head - Information Systems Security Audit" in Bank Al-Falah Limited (Pakistan). During this period I laid the foundations of Information Systems Security Audit at the Bank. I was tasked to train internal audit staff to conduct Information Systems Security Audit. Additionally, I was also responsible for coordination with Systems & Procedures Department for vetting Policies, Procedures and Manuals with specific emphasis on Information Systems Security. I have delivered '3' corporate training sessions on business and information technology topics so far and plan to conduct more sessions in future. Executives of mid-size and large corporate entities (including Banks) attended these sessions. I aim to provide best services to my clients and look forward to supporting them in their back-office work.